This piece was originally featured in Mediaplanet. Reading and literacy skills are critical to children’s academic, social and emotional achievement. Families play an essential role in helping children develop their literacy skills and fostering a love of reading. Research shows that when families read together, children do better in school and beyond. Reading with children provides an opportunity to expose them to more complex words and stories than they would normally encounter on their own. Research also demonstrates that children who frequently read with their families tend to have a strong belief that reading is both important and enjoyable. Designating a special space in your home where you read together can help inspire your family to sit down and get lost in books. Creating a reading space with children is also a great way to enjoy quality time together. Even if your child is more interested in reading on their own, sit together and read something side-by-side. Then, ask questions about what they are reading. Reading shouldn’t be a chore; it should be an adventure. If your attitude reflects the joy you feel from getting lost in a book, it’s easier for your children to feel that way too. For young readers, find books with illustrations or photos that bring words to life and provide context clues for new vocabulary. For adolescents, find books about subjects that interest your child or introduce new experiences or opportunities. Giving books as gifts, especially on topics children love, will help encourage and support their interest in reading. During the holidays and all year-round, it is so important to share the joy and importance of reading with children while making family memories. For more tips on how to how to grow children who love to read, or how to host a PTA Family Reading Experience, visit: www.PTA.org/Reading. This post is part of the PTA Family Reading Challenge Blog Party Challenge series. View the full post on “Bonggamom Finds”. There’s a saying that goes: The family that plays together, stays together. 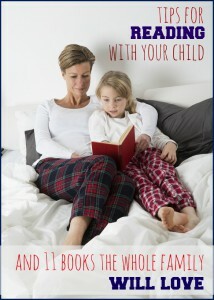 It may not rhyme as well, but I think it’s just as accurate to say: The family that reads together, stays together. 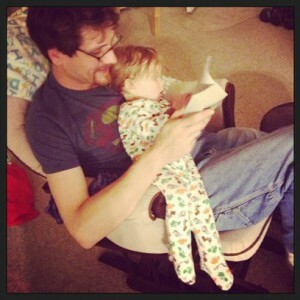 From the time our kids were infants, Alfie and I read to them. Even when they would rather chew on a book than read it, we patiently read to them every single night. Those bedtime stories not only helped them learn to read, it instilled in them a love of books that I’m hoping will last a lifetime! 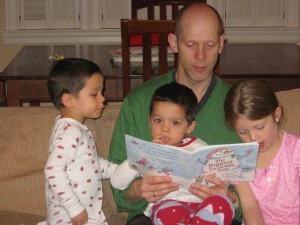 Our bedtime story tradition continued long after they learned to read on their own. My kids still have fond memories of giggling to Alfie’s crazy impersonations of Dora the Explorer! The kids are in middle and high school now, but even though we no longer gather in bed to read a book, that tradition has brought us closer in unexpected ways. We now have an updated version of the tradition– every morning at 7:00AM, the kids all come into our bed and we watch 15 minutes of the morning news together. At this point, we can barely fit on our bed (the latecomer always ends up at the foot of the bed! ), but we love this time together because it’s a way to say good morning to each other, to snuggle together, and to learn about what’s happening in the world. My kids are well versed on current events, and we use the news as opening for discussing topics like smoking, drugs, bullying, race relations, and other things that directly impact their lives. Another way we continue our tradition of reading together is reading the same books, then talking about the books together. I love having discussions with the kids about young adult fiction such as Harry Potter, Percy Jackson, and the Hunger Games! Do you love to read with your family? Keep it up — as it did with my family, reading together will pay off in unexpected ways! 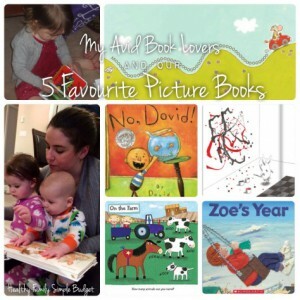 To inspire and encourage families to keep learning alive by reading great books together. National PTA and Amazon Kindle are kicking off a PTA Family Reading Challenge this summer. 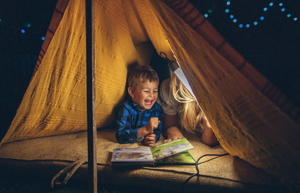 National PTA will empower families with tips and activities that encourage ongoing reading, while challenging them to share photos, videos and memories that demonstrate how and why reading together is a fun and treasured family activity. Go to ptareadingchallenge.org for more details and to sign up! This post is part of the PTA Family Reading Challenge Blog Party Challenge series. View the full post on “JulieVerse”. About 2 years ago, the kids and I spent hours laying across my bed while I read Harry Potter and the Sorcerer’s Stone to them. Often times I’d notice their eyes closed in a dream like stance, but the minute I’d pause to make sure they were still awake, their eyes would pop open, always wanting more. Before long, however, my older son learned to read on his own, and read ahead of us, completing the first 3 books in the series. Now a big third grader, he loves reading books on his own. But he still makes time for read alouds, sometimes joining in the reading, but, mostly, listening to my voice take on the characters and storyline. It’s true that children should learn to read on their own, to not just decode the words but to also comprehend what they’re reading. But just as important as developing those skills is developing listening skills and listening comprehension. A child who only reads to himself misses out on opportunities to hear a different voice or a different method of reading. He also needs to continue to develop strong listening skills to become a strong student in lecture halls, in conversation and in every day life. We all need to learn how to follow another person’s words. While many teachers assign reading as homework each evening, there are a variety of ways a child can read. Reading aloud to himself or others, reading silently to himself, listening to a story and following along on the computer (like in software such as Rusty & Rosy) or books on CD that have follow along prompts and books attached. Listening to an adult read aloud is a skill that needs to be practiced several times a week so children learn to not just listen, but to read with rhythm and learn to discuss what they’re listening to. Studies show that reading daily during summer break is the most important activity to prevent learning loss, especially for younger students. However, busy activity schedules can make it challenging to keep reading a priority, especially by the middle of the summer. In July, National PTA will empower families with tips and activities that encourage ongoing reading, while challenging them to share photos, videos and memories that demonstrate how and why reading together is a fun and treasured family activity. See more at the PTA Reading Challenge webpage. 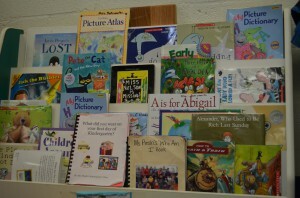 This post is part of the PTA Family Reading Challenge Blog Party Challenge series. View the full post on “Inside Bell’s Brain”. Reading is a crucial part of a child’s education. Children’s ideas about language and communication, as well as ideas about character-building and coping with life’s obstacles, are strengthened through reading. The National PTA is encouraging reading with their Family Reading Experience initiative this summer, and I wanted to link up with their site to share what I’m doing to encourage my students’ families to read. Over my spring break, I read one of my (now) all-time favorite books, The One and Only Ivan. Its story was captivating, and the author brought a true story to a new level of life by personifying the gorilla Ivan. The chapters were short, but the ideas were strong. I knew it was a book that I could incorporate into my language instruction with my English learners. The book was such an emotional read that I’d have to read several pages…and then take a break because I’d become so overwhelmed by sadness, anger, frustration, resentment. There were so many things that I needed to talk through with this book that I wanted everyone around me to read it too. I kept studying about how relatively easy the language of the book was for a struggling or early reader. (Sometimes the transition to a chapter book can be quite intimidating because the text density of chapter books is so much greater than that of picture books.) The story was captivating, the content was perfect to spur conversation, and the text was empowering. Then…it hit me! And I knew it would change everything. You see, I also teach English classes for my students’ parents. To truly make an impact in their language acquisition, I know that it means supporting the entire family…not to make English their only language. (I would never want to do that! I’m a strong supporter of multilingualism and multiculturalism.) But I know how important a deep understanding of English is to be academically successful in U.S. schools. My students’ parents want to be involved in homework, but many times they don’t know where to begin because the vocabulary, syntax, or semantics make the language of homework very difficult. A few weeks before spring break one of my students had asked me about maybe starting a book club with her classmates this summer, and she wanted me to do it with them. All these ideas began to swirl around in my mind and soon they took on a life all their own! I knew what we needed to do…I was going to teach my next series of classes as a parent-child book club, and I was certain that The One and Only Ivan would be our secret to success! So far, we’ve completed five weeks of class. We are taking our time moving through the book to talk about new vocabulary, clarify ambiguous structures, study new grammar constructions, and discuss the most meaningful plot and character developments. My students are demonstrating their own language learning by helping their parents learn English too. 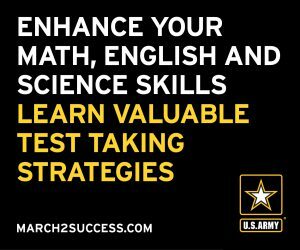 I’m using instructional strategies common in U.S. schools to help my students’ parents better understand approaches they may not have seen in their own education experience. Perhaps most importantly, the families are reading the same book together and negotiating their own meanings…learning and growing together. We are connecting with one another over this life-changing book, and we’ve only just begun to dig deep. In fact, after the first week of class, I had so many more parents and students join that I’ve had to place two more orders of books! Just this last week we were practicing answering yes/no questions with “because + my opinion/reason” and several of my students’ parents wrote notes to me (completely in English!). They said that they love English class because we have so much fun and that they are learning so many new things. I am so proud of their notes and their English, and I could tell from their messages just how much this opportunity meant to them. Perhaps one of the most meaningful notes to me though was when I knew I had”approval” of my student who originally asked me to do a book club. 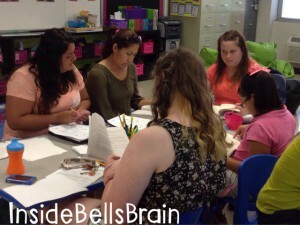 By putting our heads together to come up with this new idea, she knew it would bring her family together by reading the same book and spending time together learning English and letting the students share their expertise with the parents. I can’t wait to spend the rest of the summer reading this book with my students and their families. I hope that I’m changing their lives as much as they’re changing mine. I’m so proud of all they’re accomplishing together. I always tell my students that in my classroom, we are one big family. That’s why I’m so proud to share with you what my “family” is accomplishing because we’re taking the time to read together! When families read together, they can do anything together! Take the PTA Family Reading Challenge this July! This post is part of the PTA Family Reading Challenge Blog Party Challenge series. View the full post on “The Mixed Bag”. When I think of reading and what it means to me, I start to have flashbacks of my childhood. I constantly had my nose buried in a book. My favorite place to to hang out? The library. While most kids were spending their chore money on toys, I was spending mine on books. The book store was still in existence and a great source of happiness to me as a child! I excelled in reading courses, and enjoyed reading all sorts of genres throughout my school years. Any book worm, book lover will know the joy that comes from reading a book – the opportunity to escape into a world that is unlike their own, or whatever the book reader is looking for! As a parent, I really hope that my children enjoy reading as much I did growing up and do now, that’s why I decided to blog about the PTA Family Reading Challenge and help spread the importance of reading! What’s the PTA Family Reading Challenge? In July, National PTA will empower families with tips and activities that encourage ongoing reading, while challenging them to share photos, videos and memories that demonstrate how and why reading together is a fun and treasured family activity. Studies show that reading daily during summer break is the most important activity to prevent learning loss, especially for younger students. However, busy activity schedules can make it challenging to keep reading a priority, especially by the middle of the summer. 61% of low-income families in the U.S. have no age-appropriate books in their homes for children. Good reading habits have a greater impact on a child’s reading skills than household income. Nearly 40% of parents say their child does not spend enough time reading for fun. 73% of children get ideas from their parents for books to read for fun. Where parent engagement is high, classrooms score 28 points above the national average. My son is 2.5 years old and just this past month he’s gotten into this (wonderful) habit of insisting on a story to be read to him before bedtime. I remember back when he was very little, he never cared about books (but what infant does?) or at least refused to sit still. Now he actually lays back and interacts with the photos and listens to what I am saying. It pretty much melts my heart. Even if I have a million of things to do – I will always take a few minutes to sit down with him to read. Some of our favorites in the home? Dr. Seuss, Berenstein Bears, Peppa Pig books, and anything with Elmo! Be sure to check out the PTA Family Reading Challenge and sign up so you can participate in activities and win prizes! This post is part of the PTA Family Reading Challenge Blog Party Challenge series. View the full post on “Great Kid Books”. Parents and children know that it’s important for children to develop strong reading skills–the question I hear so many parents asking is, “How can I get my child to enjoy reading more?” They’re absolutely right. Enjoying reading is key. We do what we enjoy doing–that’s basic human nature, isn’t it? Reading develops only with practice — the more you read, the better you get; the better you get, the more you read. So how do we help children enjoy reading and choose to read more often? I love the National PTA’s Family Reading Challenge — check out the resources & ideas at PTAreadingchallenge.org. I love this video with Kwame Alexander and his family talking about about what they love about reading together as a family. Fills me with smiles hearing how much love and happiness reading together brings. Across all age groups, children agree that their favorite books are the ones they pick for themselves. Not only that, they are also much more likely to finish books that they choose themselves. Encourage a love of reading by taking your kids to the library or bookstore and telling them: “Read whatever you want to! As long as you choose it, that’s what is important to me.” Kids love being in control. Kids want books that make them laugh when they’re choosing books–and this is the dominant factor for kids in elementary and middle school. Kids also report that they look for books that let them use their imagination, inspire them or teach them something new. Parents sometimes wonder: should I encourage my child to read on his or her own, instead of reading aloud? Shouldn’t they practice themselves? Reading practice matters, but kids have to practice all day long in school.Reading together builds bonds and helps children remember the pleasure that books can bring. Children enjoy listening to more complex, interesting stories than they can read independently. Typically, it isn’t until eighth grade that reading comprehension catches up to listening comprehension. Nearly half of kids said they liked listening to their parents read aloud because they could listen to books that might have been too hard to read on their own. Reading aloud at home is like an advertisement for the pleasures of reading. Why take away these advertisements just because kids can read on their own? Shared reading time provides special time for families, especially as the chaos of life multiplies as kids juggle activities and homework. It can lead to fun family jokes that stem from funny moments in a story, and it can provide safe opportunities kids bring up difficult, confusing big issues they’re thinking about. I hope you can carve out time to read together this summer. It will make a difference in your children’s lives. This post is part of the PTA Family Reading Challenge Blog Party Challenge series. View the full post on “Learning First Alliance”. These are the most dreaded words when you’re trying to get a rambunctious two year old to go to sleep—and it’s already 10:30 p.m. The big stack of board books had toppled. The Dreamland CD was finishing its last lullaby. Mom needed to do some work before bed. But my son wouldn’t give it up—he just wanted to read the same books over and over: “Good Night Little Pookie” and the whole series of Sandra Boynton’s board books, “Trains” by Byron Barton, the classic “Big Joe’s Trailer Truck,” and anything about trucks, trains, or transportation. Eventually, he began memorizing the rhymes and recognizing sight words. We moved on to longer books but I came back to several of his favorites to help him spell and sound out familiar words and phrases. Those late nights eventually paid off. By age 4 he was reading… his preK teacher didn’t believe me until she spelled out a word to another teacher and he announced it to the class. When he entered kindergarten his initial reading assessment score was already higher than the minimum to complete the grade. 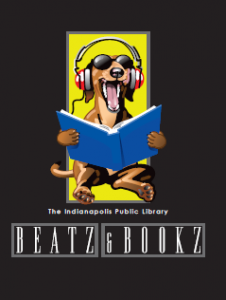 73 percent of children get ideas from their parents for books to read for fun. The top reason children say they enjoy being read aloud to is that it’s a special time with their parents. Having parents involved in their reading habits is one factor that predicts children ages 12–17 will be frequent readers. National PTA wants everyone to share their reading stories today as part of the Family Reading Challenge (use #FamiliesRead to promote on social media). The campaign will be taking place through July, visit http://ptareadingchallenge.org to get more ideas. Reading the same book again and again and again may be exhausting, but it’s worth every second. Now, my son is starting “Magic Treehouse” and downloading books on the Kindle–and yes, he still wants Mom to read to him. I won’t complain.